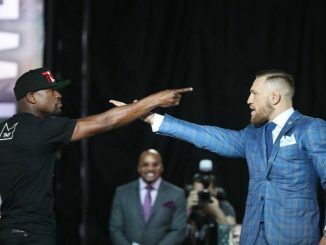 Conor McGregor is just six weeks away from his professional boxing debut; the mega spectacle between himself and Money Mayweather on August 26 may well be money-orientated, but pride is also at stake when it comes to combat sports. So, with allegations of McGregor being dropped to the canvas during sparring in preparation for his huge upcoming fight, he’ll need to shine twice as much under the spotlights in Las Vegas if he wants to be taken seriously in boxing. The general consensus at the moment between fight fans and those inside the fight game is that it would be no surprise if the rumours regarding McGregor’s lack of boxing ability had some truth in them. Despite being a two-weight world champion in the UFC, boxing and MMA differ profoundly, the same defensive techniques which prove effective within an octagon may fall short within a ring. And, although Mayweather isn’t widely regarded as a big puncher, his shots are sharp, accurate and well-timed. Which, with 10 ounce gloves on rather than 14 or 16 ounce used for sparring, may allow Floyd to secure a stoppage victory, subsequently securing his boxing legacy and earning bragging rights. 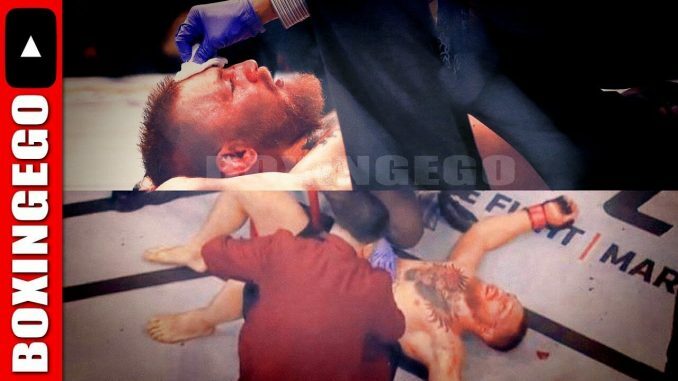 However, McGregor will no doubt want to ignore the reports. He will not want to follow the script of 99% of boxing experts, pundits and fans which have it as an easy night’s work for Mayweather. Ultimately, he will not want to get knocked out in front of millions. Former world champions Jessie Vargas and Brandon Rios were the sources of the reports and made room for all these rumours to surface. See the video of their interview with Villainfy Media below. 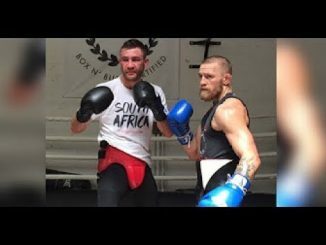 More leaked boxing footage Of Conor McGregor sparring (boxing) with South African professional boxer and the former IBO welterweight champion Chris Van Heerden.